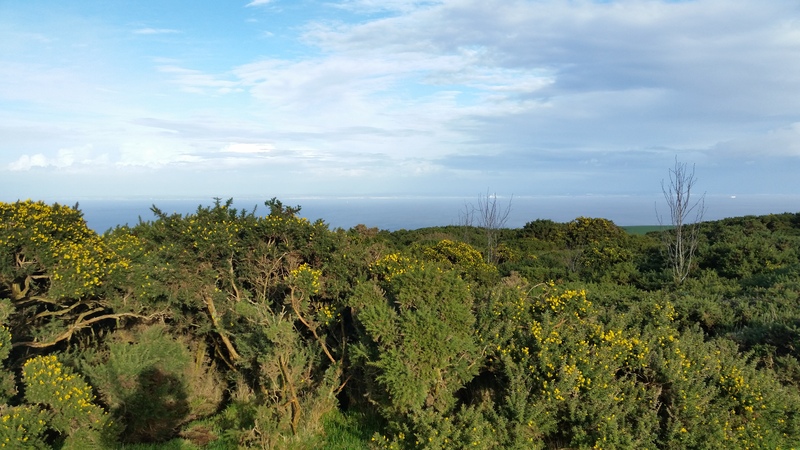 I started with SOTA activating back in May 2007 with a trip to Cairnpapple GM/SS-254 just south of Edinburgh. Over the next few months I made steady progress activating in GM/CS, GM/SS and G/LD until the sudden loss of my wife brought an end to everything in my life. I needed time to get my mind back into shape and reorganise my life to this end my last SOTA activation was in October 2008. Several moves later and after 23 years living in Scotland close to some of the best mountains in Britain I return to my native southern England and moved to a little village just east of Southampton. Now I have the South Downs just 6 miles away but by comparison to Scotland they are mere pimples. 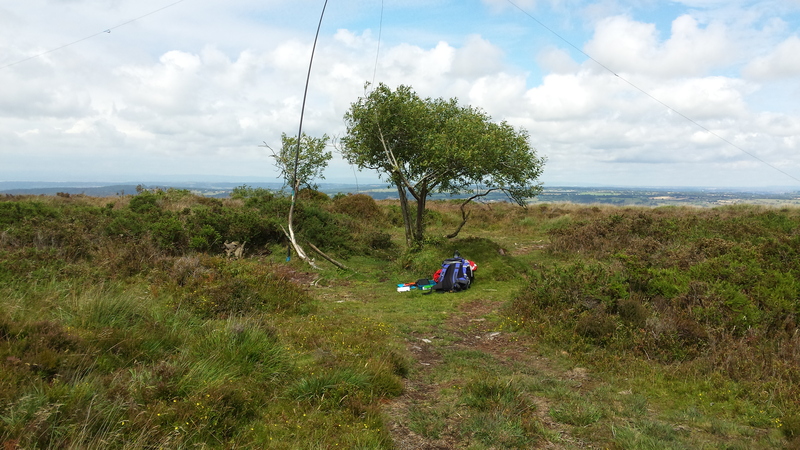 So it was with some surprise to myself that I find a yearning to return to the hills and start SOTA activating again. The fact that I should decide to return to SOTA was a surprise in itself but the circumstances are even stranger. For it was whilst planning my honeymoon with my new wife to Cornwall that I started formulating the activation of a couple of minor hills. 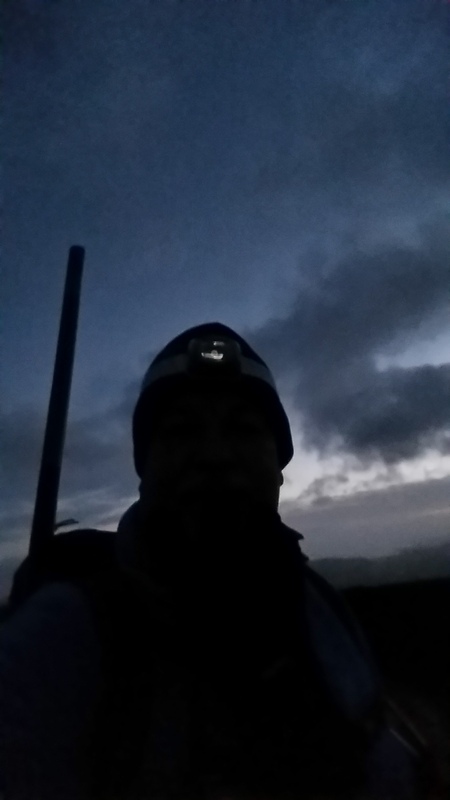 And so it was that I the 28 April 2015 G4CFS/P fired up from Hensbarrow Beacon G/DC-004 – the rest, as they say, is history. Because of my start date this is not a about a year of SOTAing but a recollection of the past 8 months and a look at what I have achieved in that short time. Now when I started activating in Scotland I would do a summit every 6-8 weeks, would I follow the same MO – no not a chance. I was keen to get out there and the bug bite again though this time much harder. Over the 35 weeks of 2015 from the first activation to the end of the year I activated 58 summits during 24 different trips out averaging one trip every 1.5 weeks or a summit every 4 days. During those activations I made 1546 QSO’s and activated 2 associations and 6 regions. I operated in G/CE, DC, SC, SE, WB & GW/SW travelling approximately 5000 miles in all. Of note in those 8 months I activated 100% of G/SE, 92.3% of G/SC, 60% of G/CE & 57% of G/DC. So what has been the highlight for me this year? Well firstly just getting back into the hills again, I enjoy my solitude and walking gives my time to think and clear my head of the detritus of work and other domestic issues. Three trips stand out as being most enjoyable days out. Firstly my day trip to the Isle of Wight to activate Brighstone Down G/SE-012 & St Boniface Down G/SE-008. It was a lovely sunny day which started with a very pleasant trip to the IOW on the car ferry from Southampton. The hills are easy to activate and because I had all day I didn’t feel pressurised to get on to the next hill so quickly. 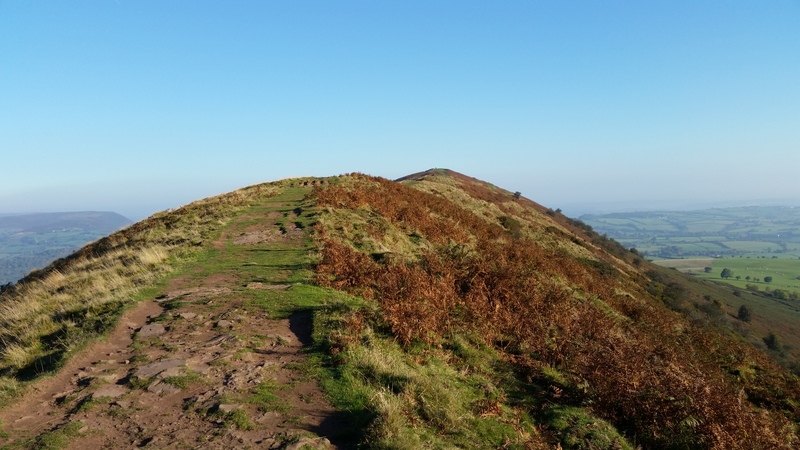 Secondly I really enjoyed my day out to G/WB-011 Bradnor Hill, G/WB-008 Hergest Ridge, G/WB-020 Burton Hill, G/WB-023 Hegdon Hill. 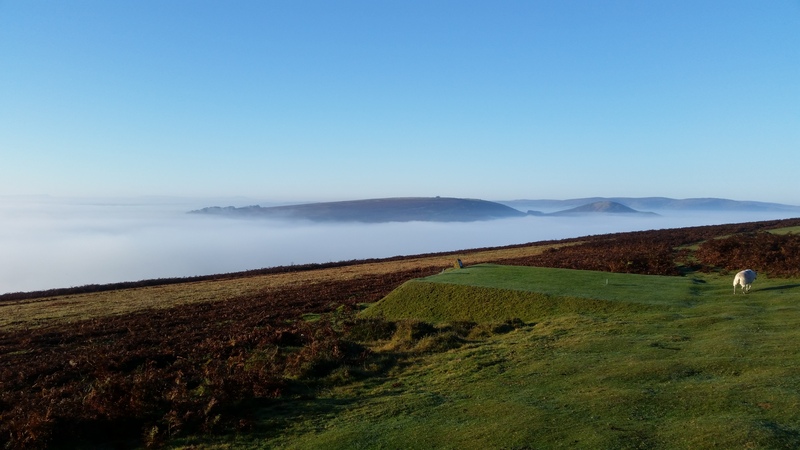 Hergest Ridge impressed me on an emotional level because of its connection with my lifelong musical hero Mike Oldfield. 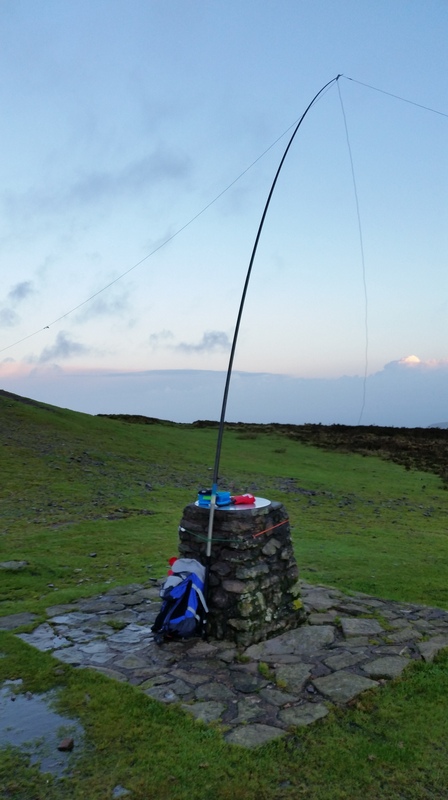 Finally the activation of GW/SW-020 Graig Syfyrddin, GW/SW-016 Ysgyryd Fawr, GW/SW-026 Bryn Awr because of the sheer beauty of the hills in question especially Ysgyryd Fawr with its long majestic ridge walk to the summit, such a fantastic location. However, not withstanding the magnificent hills the one thing that has really stood out about this year is the return to the great comradry that is SOTA, the many old friends I have reacquainted myself with and of course all the new friends I have made this year. So what of the new year, where will that take me? My main SOTA aim this year is to gain 200 activation points, in order to achieve that my intention is to complete the GW/SW and G/WB then start on GW/MW. In addition I already have a trip to the Vale of York planned for April where I will hopefully active from G/NP and G/TW. Plans are starting for a week long trip to central Portugal later in the year to active a series of 6,8 & 10 pointers. Time permitting my XYL and myself will try to take a few days in North Wales where GW/NW-001 Snowdon will certainly be on the agenda. Some time during 2016 we hope to visit family in Cornwall when I will be able to complete that region with trips to High Willhays, Brown Willy and Christ Cross. From a SOTA chasers perspective I will achieve Super Sloth with 5000 points (currently on 4642) but my main objective is to push this forward to 7500 during the year. However, in order to achieve this I need and major rethink of my home aerial system which is to say the least a very poor and inefficient G5RV configuration. To this end I am looking at a two fold approach. Firstly is to re-build and tune up my multi band vertical, the second option is to move to the larger place with a bit more usable land for a decent aerial system. So what else do I want to achieve this year? The only other area I would like to rejuvenate is my satellite system. Primarily I need to rebuild the aerial and mast head pre-amp system. All the equipment is there I just need the time to get the job done and get back on the air through he satellites. Don’t you just hate it when all your careful planning goes straight out of the window! Well it has happened. 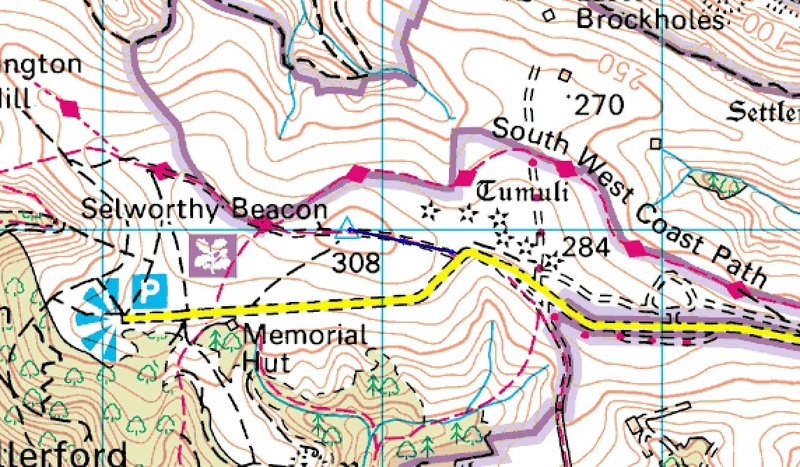 Following my activation of High Vinnalls on the 23 November 2015 I decided to leave activating on my next available day off – 30 Nov – and wait for the start of the winter bonus season on the 1 Dec. My first available day off in December was to be the 4th so planning started for either a trip to South Wales for two 2 pointers or Exmoor for a 2 pointer and a couple of 1 pointers. However, sods law clearly states that ‘the best laid plans of mice and men often go awry’ and on the 3 December I went down with the cold from hell – man flu didn’t even come close!! So with all my plans scuppered it was just a case of waiting it out until I was fit enough to venture forth into the Hills. The opportunity finally came and planning started for the trip on the 19 Dec. Now this a Saturday and not a day I would normally venture into the hills. I enjoy my solitude (radio excepted) so tend to walk during the week when the hills are quieter. I also work most weekends taking two days off during the week. However, with Christmas approaching days off are being changed to suit our business needs so a Saturday activation it had to be. The main question now was which location. 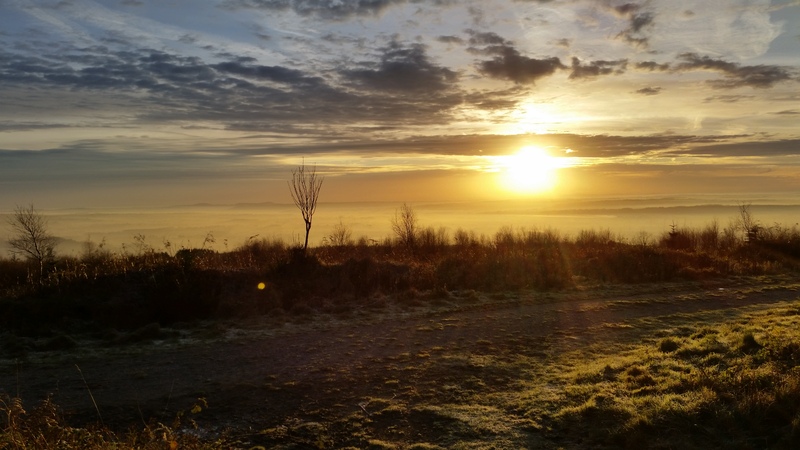 This was to be decided by the Met Office and the better forecast however, over the period of a week the forecast changed for both locations on a daily basis! As the day approached there was very little to choose between the two locations with regard to the weather. It was going to lousy wherever I went with heavy rain forecast for both Exmoor and Brecon. 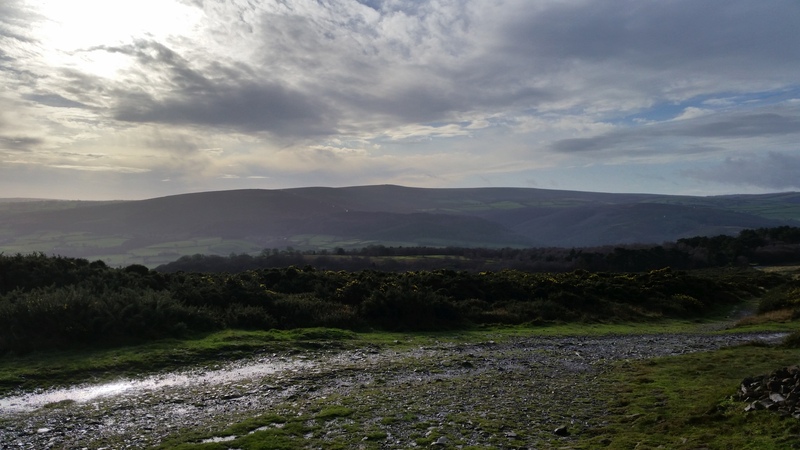 However, Exmoor looked pretty good for a Sunday activation as there was a clear break in the weather and maybe even some sunshine. 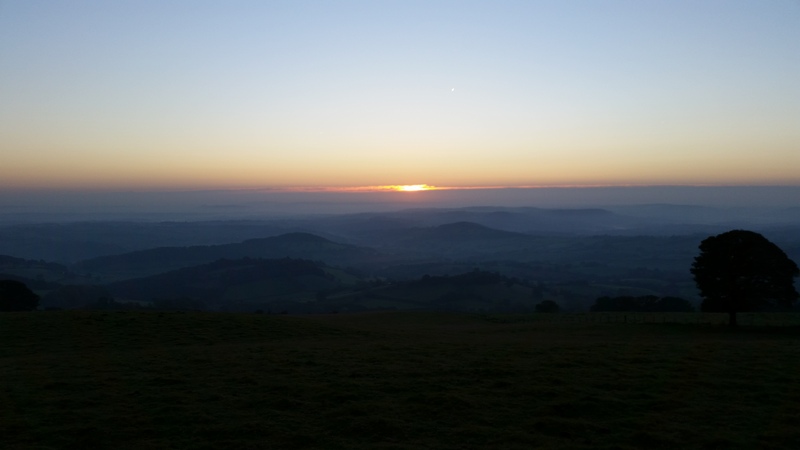 So it was that at 4.30am on the morning of Sunday 20 December I set off for Exmoor along the A303. Stopping briefly en-route to refuel and pick a MacDonald’s Breakfast Wrap (very nice), I arrived at the parking space at 0715 (SS 90402 42041). It was still dark but after a cup of coffee I booted up, turned on my headtorch and set off up the path in darkness. There is a certain peace and tranquillity about walking in the darkness especially when alone, you actually feel at one with the wilderness. 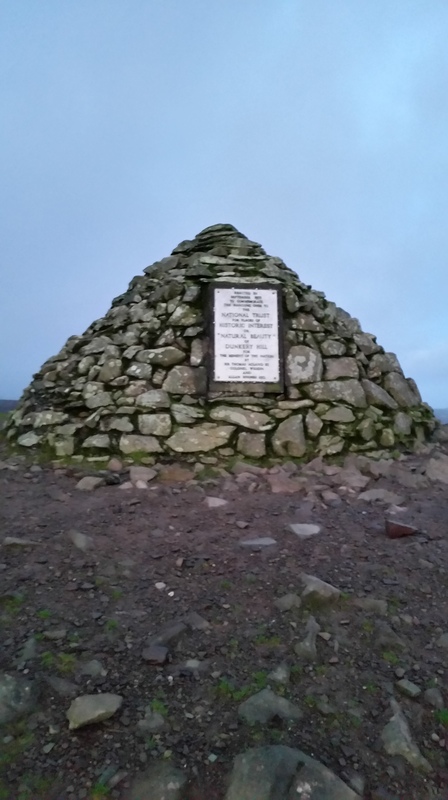 Just as dawn was breaking I approached the summit cairn to excellent views in all directions. 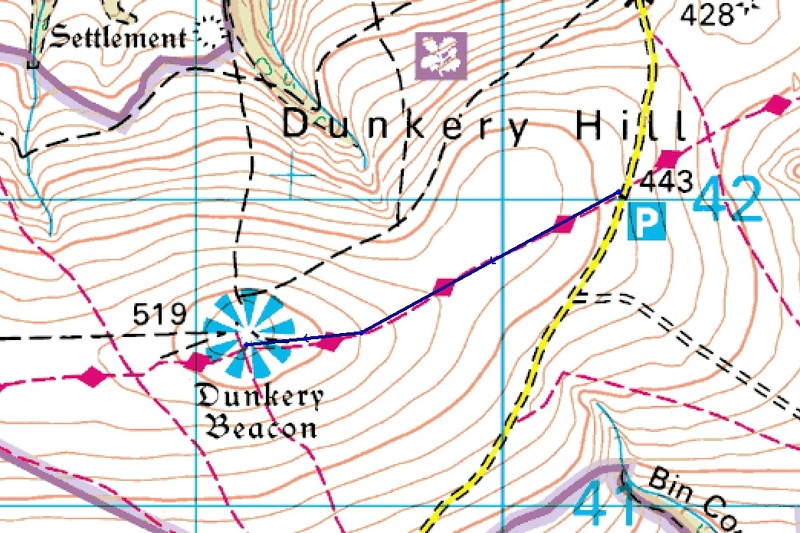 Distance 0.83 miles, ascent 222 feet time taken 25 minutes. Keen to try out my new VX-8 I self spotted and called on 145.500Mhz however, probably because of the time of day there were no takers, it was only 08:00 after all! Changing to and self spotting on 7-ssb also produced no results after 10 minutes of calling. I knew that the propagation was going to be poor due to the solar storm and the elevated K reading but I thought I might get at least one or two calls. 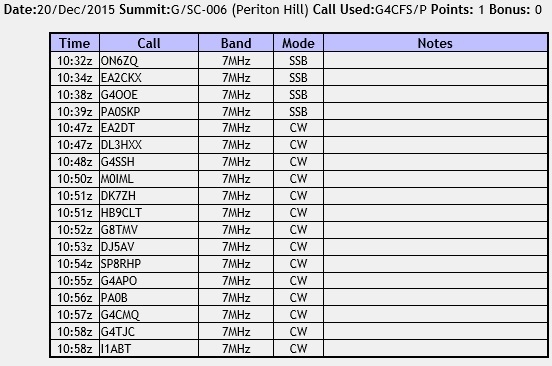 Changing to 7-cw I soon realised another reason why I hate activating at weekends – a bl**dy contest in full swing. I managed to find a clearish frequency at 7.037 Mhz and hoped RBN would pick me up. Eventually after 20 minutes of calling contact was made with Guru EA2IF and 4 other stations over a 9 minute period, but it was a slow struggle. After a further 5 minutes of empty calling I pulled the plug and started packing up when I heard Bill G4WSB/P calling CQ SOTA from DC-005 Christ Cross on 2m FM, so a quick S2S was the icing on an otherwise poor activation. A nice short 15 minute drive and I arrived at the car park for the walk up Periton Hill (SS 96382 44646). Most of the car park was full of mountain bikers getting ready to set off and annoy the numerous walkers with their dogs also on the hill. Also add to this the four off road motor bikers getting ready to take their noisy, smelly machines up through the woods!! Did I mention I hate weekend activations!!! Anyway back to the plot. 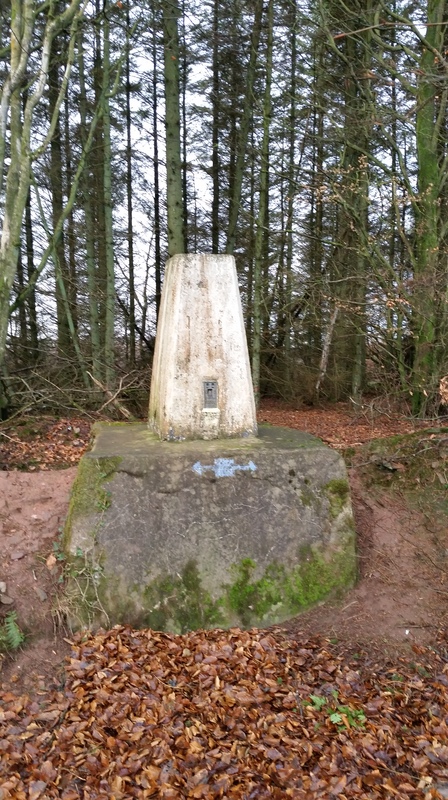 Kit checked and off up the forest tracks to the ridge, then a pleasant walk in the pouring rain to the trig point following the route taken by Phil G4OBK. Distance 1.32 miles, ascent 474 feet time taken 45 minutes. Expecting things to be similar to the previous activation I self spotted and opened up on 7-ssb. After about 5 minutes od calling I got a call from ON6ZQ to start the ball rolling, but then took a further 8 minutes to get 3 more contacts into the log. 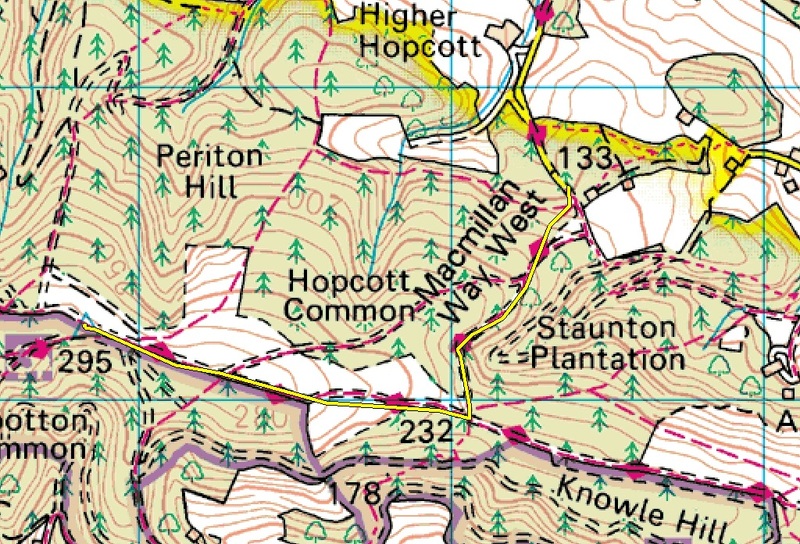 I had now qualified the hill so could have packed up and moved on but thought I would just give 7-cw a go despite the contest. Finding myself a tiny gap to squeeze into I allowed RBN to spot me and within a short while was getting a steady stream of callers into the log. It was a good mix of UK and European stations and within 11 minutes I had a further 14 QSOs complete. A much better activation all round. 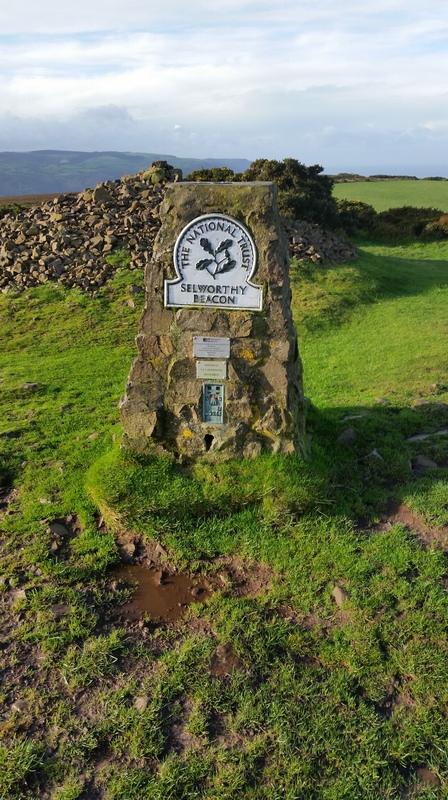 The final hill of the day is the almost drive-on summit of Selworthy Beacon. I chose to park just after the sharp left hand bend in the road where there is room for a couple of cars to pull off the road at the start of the track to the summit (SS 92242 47906). 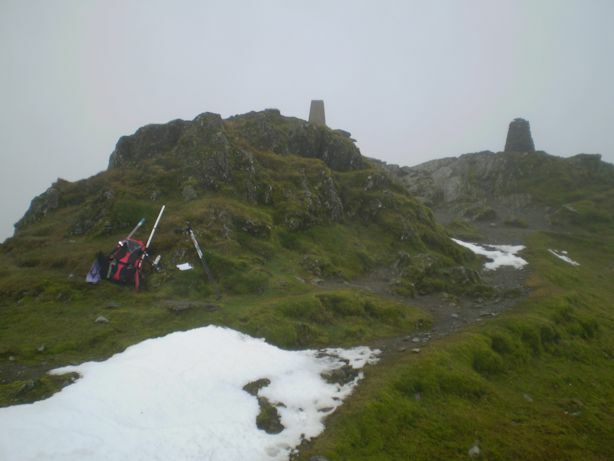 From here just follow the track straight to the summit trig point. Distance 0.25 miles, ascent 71 feet time taken 5 minutes. Selworthy Beacon is a very exposed ridge and the wind had really picked up by the time I set up the aerial, so much so that I had to re-erect the mast 3 times before I even got started with the activation! Given the state of the wind I decided to go straight to 7-cw and found my last frequency still clear. A couple minutes of calling and the stations started appearing in the log. The pile-up was short and sweet and within 5 minutes had dried up and the contest QRM had re-started. The hill was qualified, I was being blown all over the place and with the prospect of a 3 hour drive back home ahead of me I packed up and headed back to the car for some well deserved lunch. 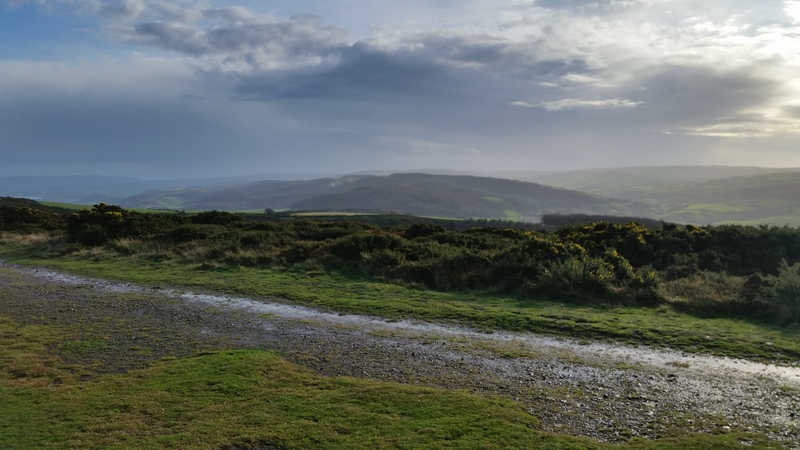 Despite being rained on, blown away by the wind, peed off by the weekend walkers, cyclists, bikers that shared the hills with me, and the annoying ‘idiots who don’t care who they call over as long as they can get more precious points for their contest – I really enjoyed todays foray into the hills. It was good to get out of the house after being restricted to home for almost a month. This will probably the only chance I get to walk during December which is a shame but I do have 2 weeks holiday to look forward to in January/February where the plan is to get as much walking is as possible. Thank you as always to all the chasers today. I appreciate you even more when I receive 339 reports because I know that you have made the extra effort to pull me in and allow me to qualify the summits. Many thanks and a Merry Christmas to you all.